Between work, family, and other responsibilities, it’s easy to let your home become a cluttered mess. If you’re tired of the mess and want to live life clutter-free, then try the simple storage hacks in this slideshow. We think the storage hack for purses is nothing short of brilliant and bet you will, too. 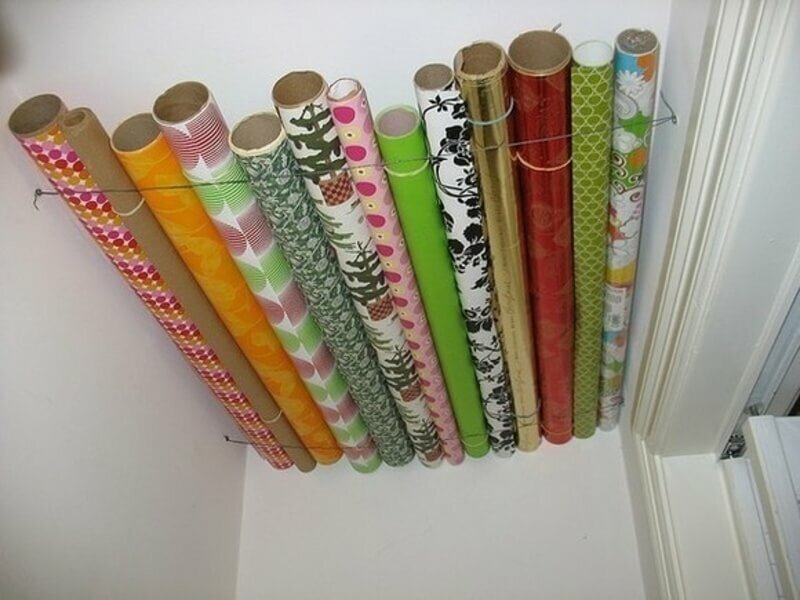 To stop wrapping paper from piling up and falling all over the place, try running two pieces of wire at the top of your closet. Not only are you using a space that virtually gets used for nothing, you also keep the wrapping paper out of sight and out of mind.